Noticing more headaches or migraines? 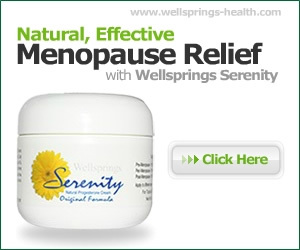 It could be the hormonal fluctuations at menopause that are the trigger. It it a migraine or just a headache? A headache is a headache, but migraine is unmistakable because of its distinct symptoms. The pain is intense and often on one side of the head only and you will be highly sensitive to light and sound. Nausea is common and any movement makes it worse with many experiencing disturbance to the vision – seeing flashing lights or an aura around objects. Some things can make it worse: the contraceptive Pill for instance has been linked to an increase in migraines but then some women have found that it has improved them. In the latter case it may be that the hormone fluctuations may have been balanced out by the Pill. It is not just young women who are prescribed the Pill because it is often given to help with the have periods that can also accompany menopause. If you are on the pill and suffering, talk to your doctor about the dosage of oestrogen you are receiving as the migraine risk is linked to that, and not necessarily to the the progestin they also contain – though those too can have their own side effects. Girls are most likely to have their first migraine headache in their teens and it usually occurs with the start of menstruation. This time of hormonal upheaval can be a factor in many conditions, but it does seem that the decline in the blood level of oestrogen during the onset of menstruation is a trigger. It may be that it is the fluctuating levels of oestrogen, rather than theo estrogen itself, that are at the root of this condition. Our central nervous system is highly sensitive in responding to hormonal fluctuation and it is an entirely normal reaction. The most common are: stress, sleep disturbances, fasting, hormones, bright or flickering lights, odours, cigarette smoke, alcohol, aged cheeses, chocolate, monosodium glutamate, nitrites, aspartame, and caffeine. Frequent migraines are also associated with low thyroid function and even low blood sugar can be a causative factor in some cases. Frequent Migraines can also be associated with low thyroid function and even low blood sugar can be a causative factor in some cases. Natural help can include the mineral magnesium, the herb feverfew and 5-HTP. The latter is a compound produced in the body from the amino acid tryptophan to make the neurotransmitter serotonin and the hormone melatonin in the body. Therapies that many have found relief with include acupuncture, chiropractic and biofeedback. If your migraine is pre-menstrual then you can benefit from using a combination cream with both progesterone and oestrogen in the few days before the period and just progesterone for the rest of the monthly application.